In a ducted air conditioning, the air is delivered to each area through a diffuser. The diffuser spreads the air across the area. Larger diffusers/ducts move more air with less static. Static is resistance to the airflow. 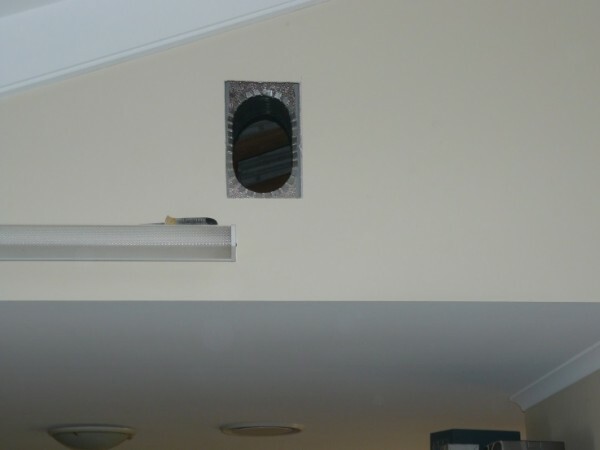 Undersized diffusers will restrict airflow and create noise. Oversized diffusers can look out of place. Note that the size of the diffuser is the diameter of the neck to which the duct is connected. The size of the diffuser is the diameter of the neck to which the flexible duct is connected. E.g. an average size bedroom is approximately 3m x 3m. This room requires 1 x 200mm round diffuser. The round diffuser will spread the air approx. 3m. If the room is longer than 5m then use multiple diffusers spaced at up to 6m apart and up to 3m from the wall. 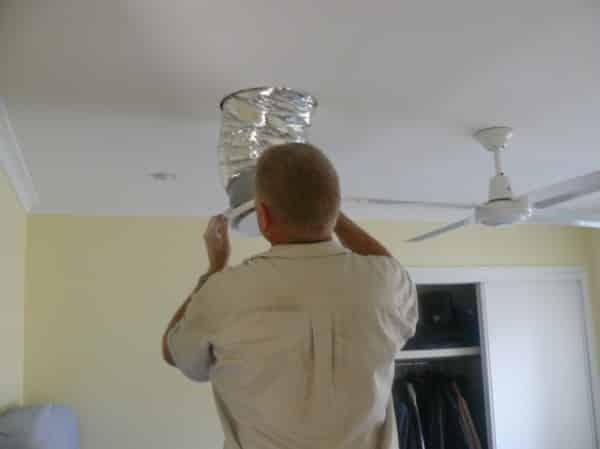 Ducted air conditioning will be softer when the air is coming from many directions. Therefore 2 smaller diffusers will provide softer air conditioning than 1 large diffuser. E.g. A living room 6m long x 4m wide 2.7m ceiling. Locate one 200mm diffuser 2m from the longer wall and 2m from the shorter wall. Locate a second 200mm diffuser 2m from the wall at the other end of the room. 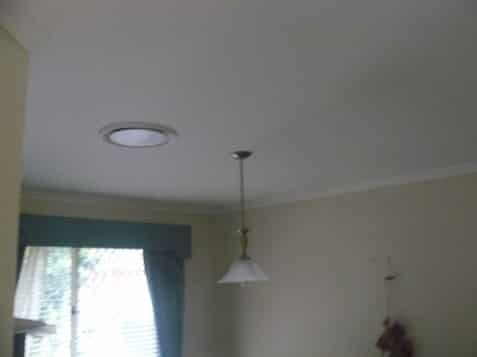 1 Lights, ceiling roses, skylights, ceiling fans etc. 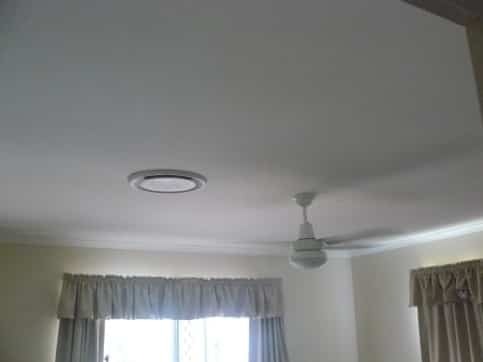 The raked ceiling does not allow space for a ceiling diffuser. A side wall diffuser is used(grill not installed in this pic. The final layout will be determined by the installer and the client. Get in touch with Crown Power to know more about supply air diffuser sizing and any other air conditioning related queries you might have.